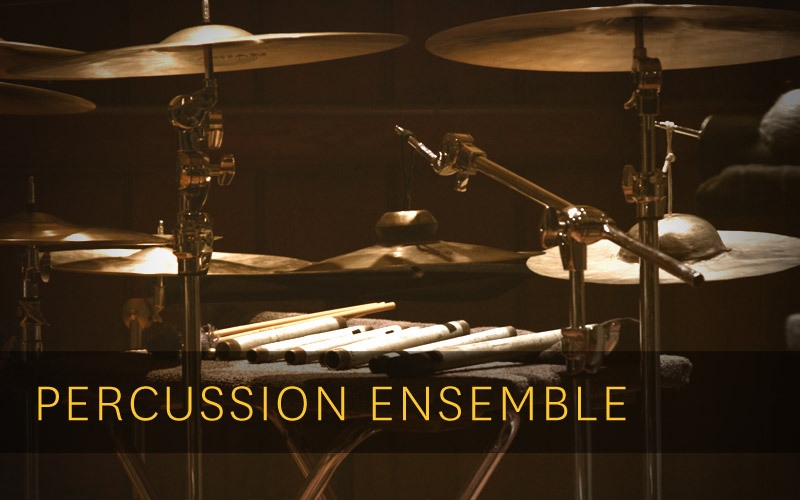 Utilizing a wide range of percussion instruments, from the standard to the exotic, the USC Thornton Percussion Ensemble presents a diverse range of musical styles. The USC Thornton Percussion Group, directed by Joseph Pereira, principal timpani of the Los Angeles Philharmonic, is dedicated to performing both today’s music and the music of percussion pioneers. The ensemble, which includes students from the USC Thornton Winds & Percussion program, frequently collaborates with guest composers and premieres new works, often with artists from Los Angeles’s thriving new music scene. The ensemble has appeared on the LA Phil’s Green Umbrella series, performing the music of Ondrej Adamek, Panayiotis Kokoras, John Luther Adams, Michael Van der Aa, Rolf Wallin, and George Antheil’s Ballet Mécanique. Their repertoire includes works by Mark Applebaum, Edmund Campion, Elliott Carter, Franco Donatoni, Gérard Grisey, Sofia Gubijdulina, Fritz Hauser, Ted Hearne, Lukas Ligeti, Anthony Pateras, Toru Takamitsu, Fellipe Waller, and includes notable world and West Coast premieres. 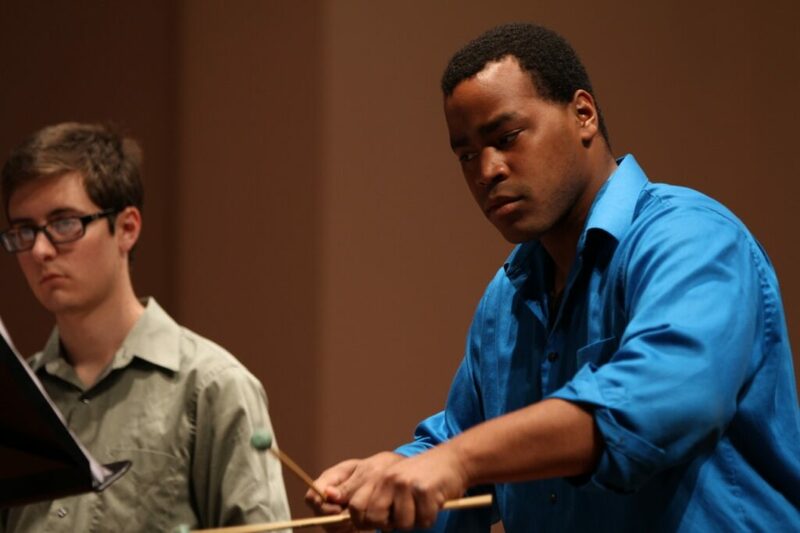 The Percussion Group has championed the work of composers John Cage and Lou Harrison, earning praise from the Los Angeles Times for their “Cage at 100” retrospective. Other notable programs include “Made in CA” and “Made in LA” concerts that featured the work of USC Thornton faculty composer Ted Hearne. 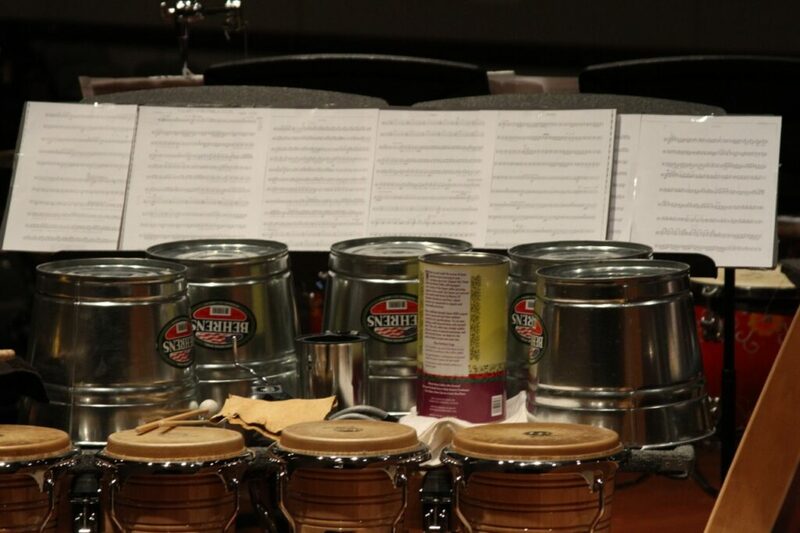 As Percussion majors at the USC Thornton School of Music, members of the ensemble cultivate a lifelong enthusiasm and excitement for performance, which transcends all artistic borders.